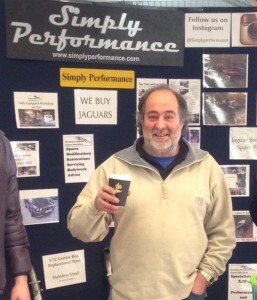 Simply Performance is a family business founded by Jon Thomson. Jon has always had an interest in Jaguars for many years but decided to take it on full time as a business over 15 years ago. We aim to deliver a top service for your Jaguar. Within the industry we are known for our manual conversion kits, differential rebuilds and cobra donor packages. Simply Performance manufactures a wide range of performance modifications, the majority of the performance parts are derived from Lister cars. Jon has owned many Listers over the years combined with a strong relationship with Peter Godwin of Godwin Cars (Ex-head mechanic of Listers). Simply Performance offers many of the Jaguar performance parts as well as a unique service. We pride ourselves in our ability to tailor our services for your needs. We have a good reputation within the Jaguar community, which has been built over a long time. You will find us at a the Jaguar International spares day every 6 months and we welcome people to come and visit. We are based near Dorking in Surrey, about 15 minutes from Gatwick Airport. Simply Performance has developed a variety of ‘bolt on’ performance parts.